A booze-fuelled dangerous driver who put motorists in danger after swerving into the wrong side of the road and narrowly avoiding collisions has had his case further adjourned. Trevor Sims, 53, was seen by a witness causing chaos while driving at over three times the legal limit between the A57 at Worksop and the A619 at Clowne, according to a Chesterfield magistrates’ court hearing. 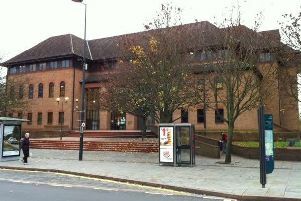 Becky Allsop, prosecuting, said witnesses had seen a vehicle swerving and almost colliding with a central reservation. Mrs Allsop added that one followed the vehicle as it drove to the A60 Mansfield Road and it was speeding at 70mph and swerving into the wrong side of the road and causing oncoming vehicles to take evasive action. Sims later turned right to Whitwell and overshot a junction and completed a u-turn and travelled to Creswell, according to Mrs Allsop. The witness stated the vehicle continued to drive erratically on the A60 having near collisions with oncoming traffic before it went to the A619. Sims continued to have near-collisions with other on-coming traffic before joining the A619 which has a number of bends travelling to Clowne, according to Mrs Allsop. The defendant did a circular turn on a roundabout and clipped a kerb, according to Mrs Allsop, before continuing at high speed on the wrong side of the road around blind bends. Mrs Allsop said police were called to the scene and empty cans of alcohol were found in the vehicle. The court heard the defendant registered 120microgrammes of alcohol in 100millilitres of breath, when the legal limit is 35 microgrammes. Sims, of Oxford Street, Sutton-in-Ashfield, pleaded guilty to dangerous driving and to exceeding the alcohol drink-drive limit after the incident on February 20. Magistrates had committed the matter to be further heard at Derby Crown Court on March 28. However, Sims’s case has since been further adjourned until April 18 for sentencing.